Nada Maani demonstrates a deep passion for the intersection of architecture and politics. She believes architecture has a role in addressing the social issues faced globally – that the role of architects must include creating designs that empower communities. Currently, Nada is providing architectural support during both the design and construction phases for a number of projects, including: Four projects for the McMinnville School District Bond Implementation Program and the Hood River School District May Street Elementary School. Prior to joining Opsis, Nada worked for Estudio Teddy Cruz+Forman in San Diego, California focusing on the design of a community center / skateboard park in Tijuana along with producing drawings for an application to exhibit in Cooper Hewitt’s designing for the 99% exhibition. Nada then worked at DOWA-IBI here in Portland, OR where she worked on Hockinson Middle School and XQ: The Super School initiative. 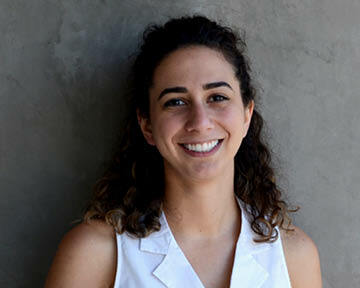 Nada received a Master of Architecture, a Graduate Certificate in Public Interest Design and a Bachelor of Science in Architecture from Portland State University. She is a recipient of the 2015 AIA Pacific NW Region Student Honor Award, as well as the 2015 Thesis Prize from Portland State University. She is a volunteer with Portland Public Schools, helping to organize workshops with PPS ESL Students and participating in the International Youth Leadership Conference, a program dedicating to create opportunities for students to learn and network with fellow students, educators and language minority leaders in the Portland area. Nada is a LEED Green Associate and Associate AIA member. She also serves as an Adjunct Faculty Member within PSU’s School of Architecture.